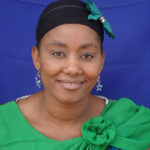 Stellah Mpagama graduated medicine from the faculty of Medicine in University of Dar es Salaam (2005), master degree in clinical research and Ph.D, in Kilimanjaro Christian Medical University College – Tumaini. For the past decade she is a physician at Kibong’oto Infectious Diseases Hospital and has more than 25 publications largely covering diagnosis and treatment of multidrug resistant and drug susceptible Tuberculosis. Currently, she is leading a research portfolio of infectious diseases expanding in other emerging and re-emerging infectious diseases while building capacity for clinical trials. She is collaborating with other stakeholders to conduct clinical research and education/training of both non-communicable and communicable diseases such as Tuberculosis and Diabetes and non-communicable lung diseases such as Bronchiectasis, emphysema. The research covers several designs such as implementations sciences, clinical trials, basic sciences and health systems. Dr. Stellah interest is in development of solution for both programmatic and clinical challenges for diseases of public health importance. Because some infectious diseases overlap with non-communicable diseases such as Diabetes, Dr Stellah has expanded the research programme to involve the intersections of TB and Diabetes. Likewise, some complications of infectious diseases include development of non-communicable diseases such as bronchiectasis or chronic respiratory lung diseases as a post-TB sequel, she is also participating in researches that explore the post-TB sequela and other non-communicable lung diseases.